I’m pretty sure the cobra is a replica, but still a nice looking one. Not sure if it’s legit or a kit car. These two fellows met for the first time - both with very similar cars. One was a convertible, but I think both were the same year. 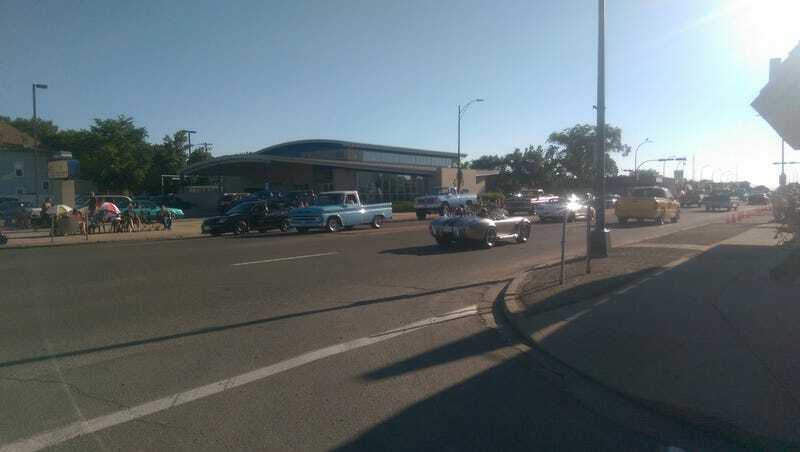 It was the annual Street Wheeler’s cruise here in Lethbridge. Not sure how many cars there were this year, but there was the usual pretty good selection. The two guys in the green Lamborghinis had fun chatting it up. By the end of the night, everything I was wearing stunk like exhaust and rubber. Despite the presence of two police on cruisers, there were still a few smokey burnouts along the route.